The arising of global energy crisis and tremendous risk of climate change has drastically endangered the survival and development of human society, which certainly demand for modern technologies that require high-performance materials with superior properties. In this context, nanotechnology has emerged as a powerful tool for the scientific community to the design and development of engineered materials. 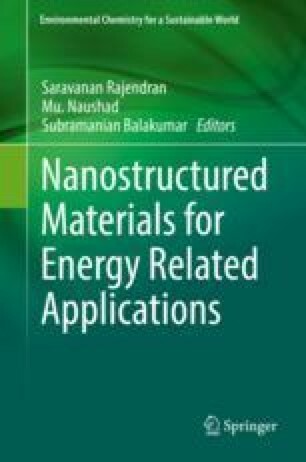 In particular, nanomaterials derived from biomass (plants or plant-based) resources are gaining much attention by governments, industries, and academia owing to their low-cost, environmental compatibility, and replacement capability for petroleum-derived products for energy and environmental applications. Meanwhile, it is desirable that the development of novel materials from the natural resources that meet our daily needs and at the same time environmental-friendly in nature. This chapter provides a comprehensive understanding for obtaining renewable nanomaterials from natural biomass precursors for energy and environmental applications. Three different nanomaterials (i) cellulose nanostructures, (ii) starch nanocrystals (SNC), and (iii) carbon nanostructures along with their recent advancement in energy and environmental applications are figured out. The authors thank Embrapa, FAPESP (Proc. No. 2015/00094-0; Proc. No. 2017/22017-3), MCTI/SISNANO, REDEAGRONANO, DEMa/UFSCar, and CNPq for the financial support.